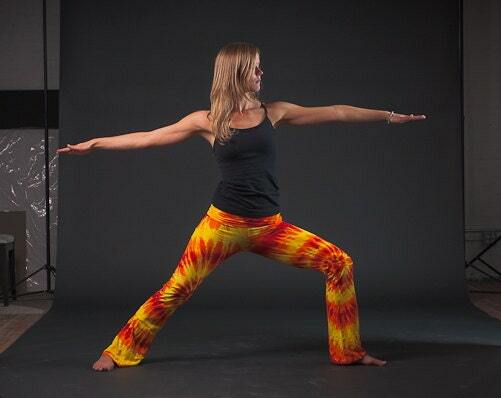 These super fun tie dyed Yoga pants have a comfortable fold over waist and slightly flared leg. 95% cotton 5% Elastane. Hand dyed in vibrant colours. Perfect for lounging, Pilates, Yoga and all night dance parties. The grooviest pants you'll ever own! i LOVE LOVE LOVE these pants! 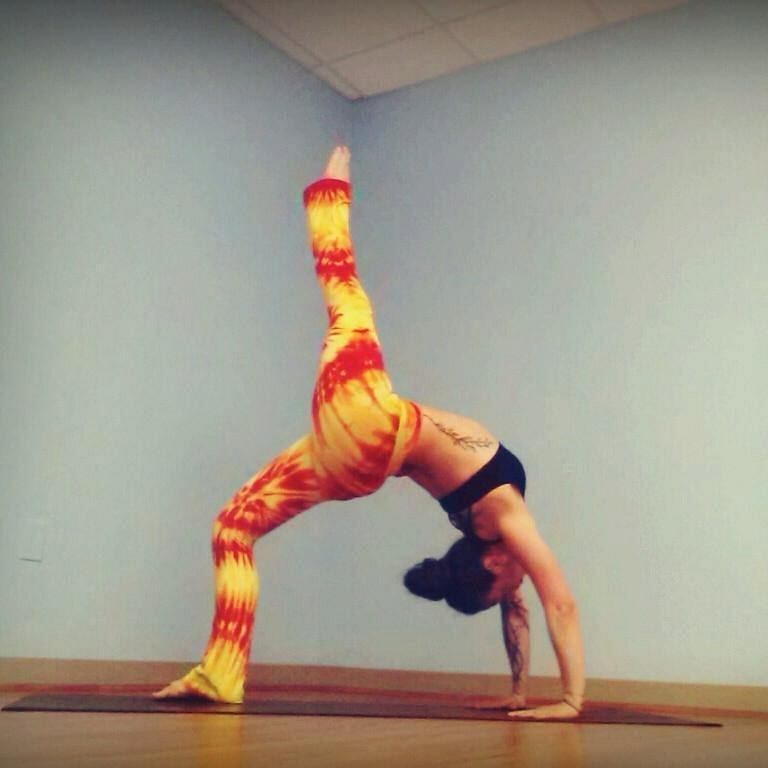 my friends call them my sunrise pants and they make me feel warm and happy. :D very good fit too.